Although I'm never loyal to any one brand for anything, five brands have risen above the rest as my go-to favorites. So let's break them down and give you the what's what. Urban Decay. It's become quite apparent over the past year or so that my Urban Decay obsession should be addressed. Their palettes are a given for any beauty lover; rich shades, creamy pigmentation, and serious lasting power. But their blushes are worth talking about too. Just as creamy and pigmented as their shadows, the blushes are downright divine in buttery goodness. The revolution lipsticks are also some of my favorites to date. I've ranted on about the shade "Rush" until I'm blue in the face because it's just that good. Stila Cosmetics is a brand I don't hear about too often throughout the interwebs, but is definitely a top contender for this addict. Their One Step Correct is the one and only product I've repurchased half a dozen times because I can't find anything that gets my skin like it does. Of course Stila is much more than just that one primer. Their eye shadows are just as good if not better than Urban Decay's and could easily be confused as such if there weren't any labels on the packaging. My favorite shade is definitely "Kitten" for it's champagne perfection. Another why-isn't-this-talked-about-more product are their eye liners. Holy guac are these the best I've ever tried. They stay put and are bold on tight lines and lash lines. Seriously worth their weight in gold. butterLONDON isn't just a nail polish brand in my book. When I hear the name I actually don't even associate them with nail polishes anymore although they're fab at it. Their makeup line is a constant surprise and boasts some of my favorite products. The Shadow Clutch palettes are fantastic for travel and easy every day wear on par with Urban Decay and Stila. They also have some incredibly well thought out lip crayons that come with a sharpener built into the lid. Brilliant. Maybelline beat out all the other drugstore brands in my collection to make it on to the list. Maybelline just knows how to make a mascara. My favorite duo at the moment is their LashSensational and Rocket Volum'Express. I also really enjoy the Superstay Better Skin Foundation for a little shake up in my base routine. It's a matte-esque formula that sits somewhere in the middle for coverage. Definitely one to check out if you're wandering the drugstore aisles. Living Proof had to be included in the lineup of favorites as it's just too damn good not to talk about. It's my go-to hair care brand and I rarely branch out to anything else. I've gone through tube after tube of their 5-in-1 Styling Treatment and am finally digging into their Shampoo and Conditioner. I nearly squealed when their new Fresh Cut Split End Mender landed on my doorstep. Their brand feels clean, fresh, and my hair loves it. That's all I need to know. 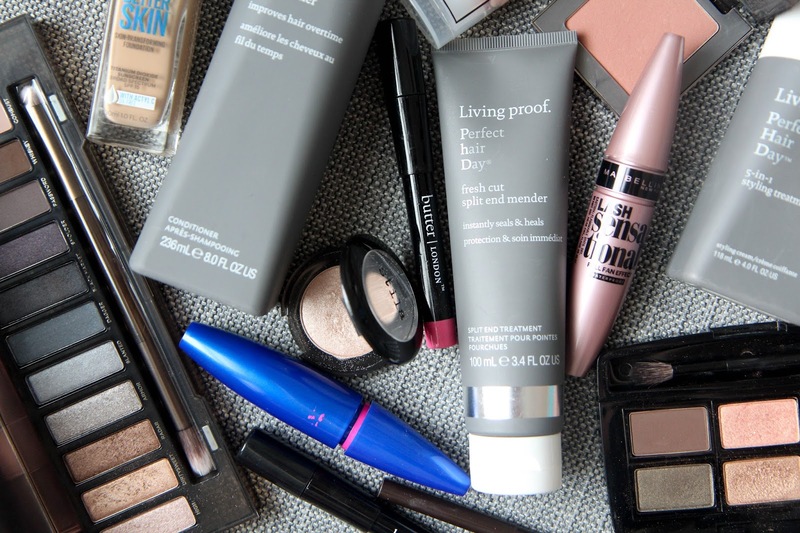 These five brands are consistently good and clutter my makeup drawers with holy grail products I couldn't live without. What brands are on your top five list?